Leadership | The MCS Group, Inc.
Rosemary Gould Esposito, Chief Executive Officer and co-founder of The MCS Group, Inc., has been with MCS since its inception in 1979. She has always known the importance of being surrounded by a strong team of talented, open-minded and dedicated associates. Coming from a large, loving family in Philadelphia, allowing everyone to contribute was learnt early in her life and she believes it is a hallmark to success. Rosemary is a graduate of La Salle University with a Business Management degree and believes good health leads to good management at every level. She has been instrumental in many mergers and acquisitions during her career at MCS, as well as the opening and training of new associates in the MCS offices throughout the country. 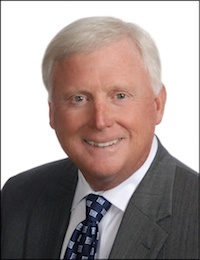 Dave Bean, President, Chief Operating Officer and co-founder of The MCS Group Inc., has also been with MCS since it began in 1979. Over the past 35 years, he has been responsible for orchestrating the growth and development of the company into a recognized leader of Business Process Outsourcing services. Dave earned a B.S. degree in accounting from Saint Joseph’s University. He is a resident of Upper Providence, PA where he and his wife Marybeth raised their three children. Dave and Marybeth are members of the Union League Golf Club at Torresdale, the Philadelphia Union League, ClubCorp’s Pyramid Club of Philadelphia, the Llanerch Country Club, the Ocean Reef Club and Stone Harbor Golf Club. Russell Pickus is the Chief Financial Officer for The MCS Group, Inc.
Russ is a CPA and financial manager with more than 30 years’ experience serving as the CFO for private companies in the service, distribution and manufacturing industries ranging in size from $25 to $170 million in sales. Prior to joining The MCS Group, Inc., Pickus served as the CFO for a $150 million national REO Field Property Management services firm and a Fluid Power and Automation distributor and manufacturer with sales of approximately $80 million. Prior to joining industry, he spent over 5 years with the “Big Ten” national CPA firm of Laventhol & Horwath. Russ has been an active member of both the AICPA and PICPA for over 30 years. Russ is an avid reader who enjoys the warm weather and likes to spend his free time with family, friends, reading by the pool or jumping the waves with his jet ski. 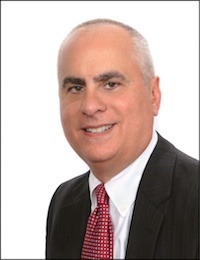 Stephen Ehrlich is the Chief Information Officer of The MCS Group. With over 20 years of experience in the area of information technology, he oversees all technology operations of MCS. While directing this effort, Stephen is personally responsible for sales and operations of the Technology Solutions business unit, whose main offerings include Electronic Discovery and Trial Technology. 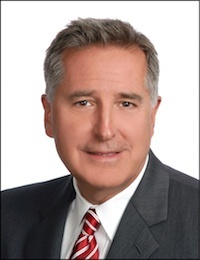 During his tenure at MCS, Stephen has overseen the completion of many important projects, including expansion of MCS offices across the United States, the creation of the MCSDirect platform for secure Record Retrieval, and the deployment of KCura’s Relativity as a premium hosting provider. Prior to joining MCS, Stephen served as a help desk engineer in the Emerson, NJ school district. His areas of expertise include all aspects of IT, from routers and switches to desktops, web development, databases and overall management. Stephen is the coach of multiple baseball and basketball teams for youth in the local community. He played Division 1 baseball at Fairleigh Dickinson University where he holds several school records for pitching. He currently lives with his wife, Lena, and two children, Taylor and Stephen in Mount Laurel, NJ. Matt DeMarco, Executive Vice President of Business Development, has been with The MCS Group for over 33 years. He joined MCS in 1982 as an Account Executive, and has since served in various roles including Account Manager and East Regional Account Manager. He has held his current role since 2010. 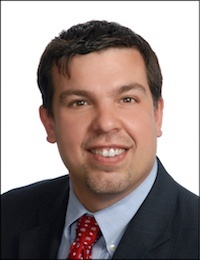 Matt holds a Bachelor of Science degree in Management & Marketing from Saint Joseph’s University. Loren LaQuintano, Executive Vice President of Management Services, has been in the outsourced management services industry since 1986. Having served early in his career as an operations manager with Pitney Bowes, Loren joined MCS in 1993 as our National Director of Operations. Loren served as the organization’s Vice President from 2001 to 2015 at which time he assumed the role of Executive Vice President. Loren’s primary areas of expertise are operations/personnel management and marketing and business development. Additionally, Loren’s expertise in identifying and developing relationships with key business partners had him named the executive in charge of the creation of strategic alliances for Management Services in 2010. In his role as EVP, he oversees all aspects of the Management Services business unit within MCS to include business growth, planning and financial management. Loren has served on the MCS Executive Sales Council, Marketing Committee, Employee Benefits Committee and Management Services' Executive Management Committee where he has been instrumental in the planning and growth of the business. 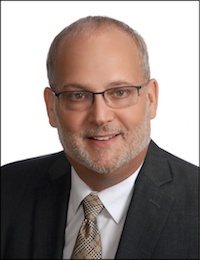 Loren has been an active member of trade organizations such as the MSMA (Mail Systems Management Association) and IFMA (International Facility Management Association). Additionally, he is an enthusiastic member of the OSIA (Order Sons of Italy in America) and has been published in chapter newsletters specifically on the topic of Italo-stereotyping and self-improvement. Loren majored in Business Administration at Rowan and resides in Mullica Hill, NJ with his wife and daughter who is currently a college student majoring in accounting. 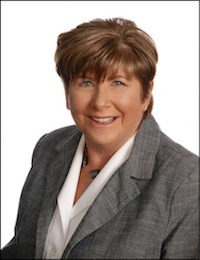 Geraldine M. Finnegan (Gerri) has served as Executive Vice President, Northeast Regional Manager for The MCS Group since 1996. She started her career with MCS in 1980 and served as the Assistant Office Manager in Philadelphia until 1993 overseeing all phases of the record retrieval operations process. In 1993, she transferred to Newark, NJ to assume responsibility as the Regional Manager covering the northeast region, where she built a staff of very talented associates. 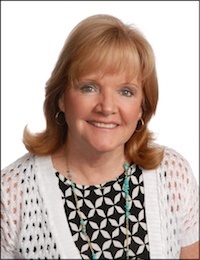 Gerri attended Little Flower Catholic High School and Temple University. She is an active member of the Womens Business Enterprise National Council.